Our Hidden Mickey this week comes from the Animal Kingdom. As you are running from Kilimanjaro Safaris to Expedition Everest you will pass this building as you leave Africa and enter Asia. This building is the home to bathrooms, but have you taken any time to look at the items that other travelers have left hanging on the building? You just might spot a Hidden Mickey like the one we have found below. 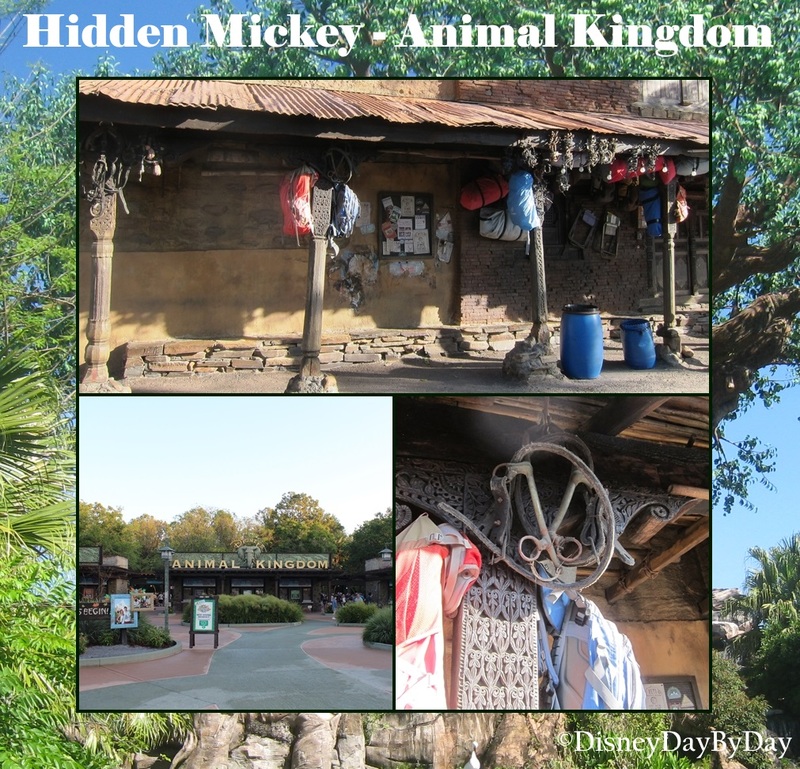 Where have you found a Hidden Mickey at Animal Kingdom?